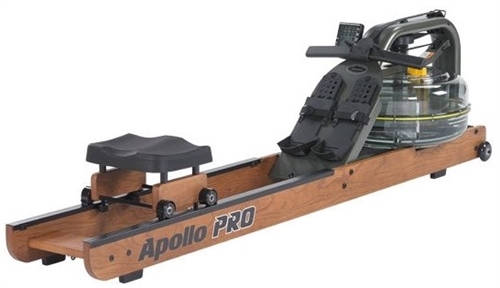 First Degree Fitness Horizontal Apollo PRO 2 Indoor Rower, the Apollo Pro 2 water rower is a commercial grade, natural wood rowing machine, perfect for group training or high-end home gyms. 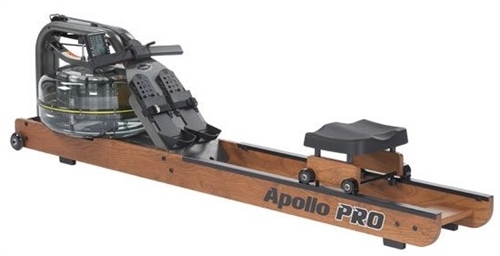 This rower’s water resistant design, meditative motion and integrity of construction sets it apart from its competitors. 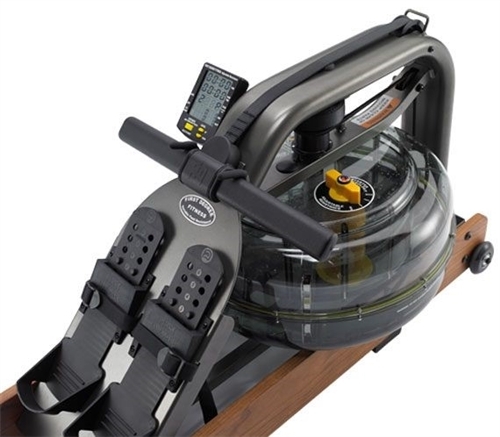 Handcrafted from the finest quality American Ash wrapped around a stabilising steel frame, this steadfast indoor rower offers a standout performance even in the harshest of fitness applications. 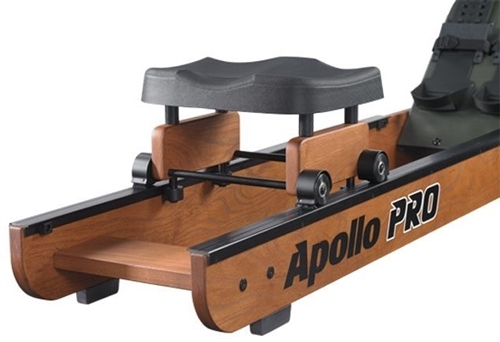 The Apollo Pro 2 water rower is suitable for all levels of fitness, providing a total body challenge that incorporates the upper body, lower body and core simultaneously. If you are accustomed to the natural catch and feel of on-water rowing, your rowing technique will immediately appreciate the Apollo’s unrivalled emulation of a boat gliding through water. 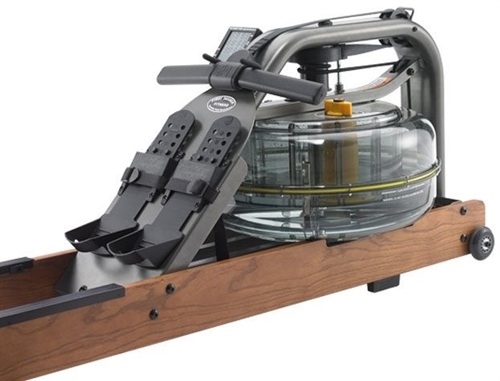 FDF’s patented twin tank design generates a smooth uniform stroke, including no lag of resistance at the catch and continued resistance all the way to the finish. 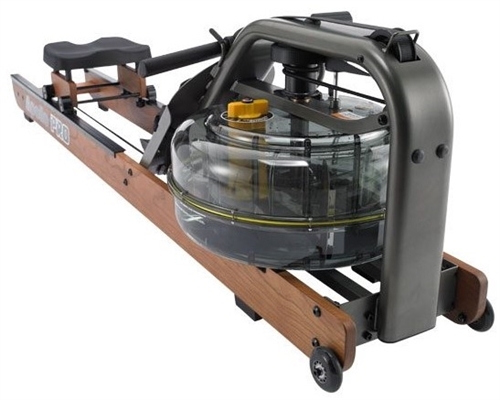 This commercial water rower is a timeless gym favourite, guaranteed to keep members returning. Tank: 4 Levels of Patented Variable Fluid Resistance for Continuous Progression. Monitor: Multi-Level Computer with USB Port for Connectivity. Footboard: Easily Adjusted Footplates with Secure Heel Capture and Angled Surface Under Ball of Foot to Assist Leg Drive. Seat: Smooth and Silent Action and Textured Non-Slip Seat that Shapes to the User. Handle: Deluxe Ergonomic Design Allows Comfortable Grip Minimising Strain on Forearms, Wrists and Hands. Frame: Ethically Sourced American Ash Frame with Steel Casing. Others: Durable Belt Drive with Active Recoil System.